This petition has been created by Palm Oil I. and may not represent the views of the Avaaz community. Calling on the Vegan Society to list palm oil as a non vegan product. Although plant based, the production of palm oil is causing the pending extinction of orangutans, elephants, rhinos, tigers and a multitude of other living beings that cannot survive without their habitat. Ethically palm oil goes against vegan morals, an animal's freedom and right to life. Countless food brands use palm oil to ensure they cater to the growing vegan market, not just the specialty vegan branded products. Skin care, cosmetics, personal care and cleaning products using palm oil derived ingredients are also geared towards the vegan market. Ingredient manufacturers will not seek an alternative unless there is demand to do so. According to a recent report by Greenpeace - Palm oil suppliers to the world’s largest brands, including Unilever, Nestlé, Colgate-Palmolive and Mondelez, have destroyed an area of rainforest almost twice the size of Singapore in less than three years. Brands using palm oil are under the impression that if it is RSPO certified that it is ethical and not contributing to the extinction of these species. BUT, a recent study carried out by researchers from the University of Queensland and the ARC Centre of Excellence for Environmental Decisions (CEED), both in Australia, and Borneo Futures, researchers looked at the fate of the critically endangered Bornean orangutan (Pongo pygmaeus).The survival of the species depends on whether it has enough viable habitat to survive. In Indonesian Borneo, where palm plantations are taking over the rainforests that constitute the orangutans’ habitat, their prospects look dim. Coupled with this loss of habitat is the routine killing of the great apes, which are viewed by plantation workers as vermin. 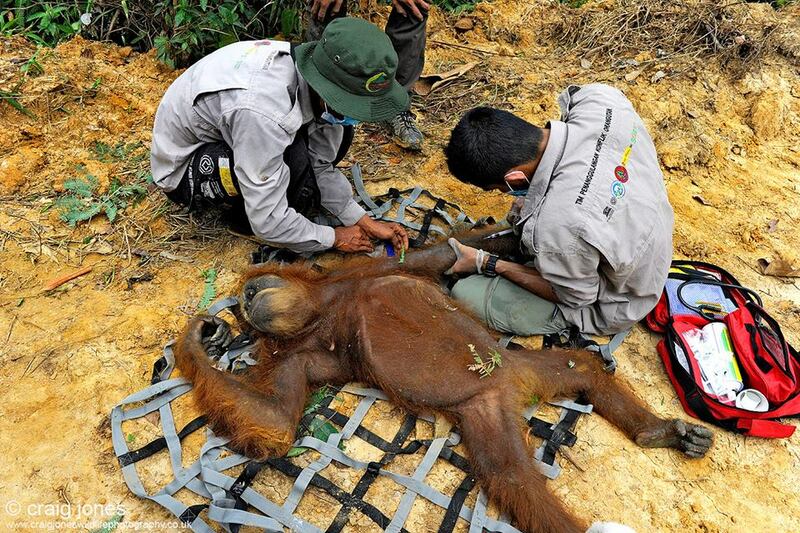 The study found there was no evidence that RSPO-certified plantations provided better protection for orangutans. Their populations declined in both certified and non-certified concessions between 2009 and 2014. Although palm oil is the highest yielding vegetable oil crop, other oils do not rely on the earths valuable and irreplaceable ecosystem on the equator belt to produce yield. Time is running out for these critically endangered species who are at crisis point. The vegan society has the power to help turn this issue around. Will you look back when these critically endangered species have been wiped off the face of the earth and think - we should have done something to help? So we call on the vegan society to please list palm oil as a non vegan product before it's too late and stand by moral standards of an animals right to life and existence on this earth.